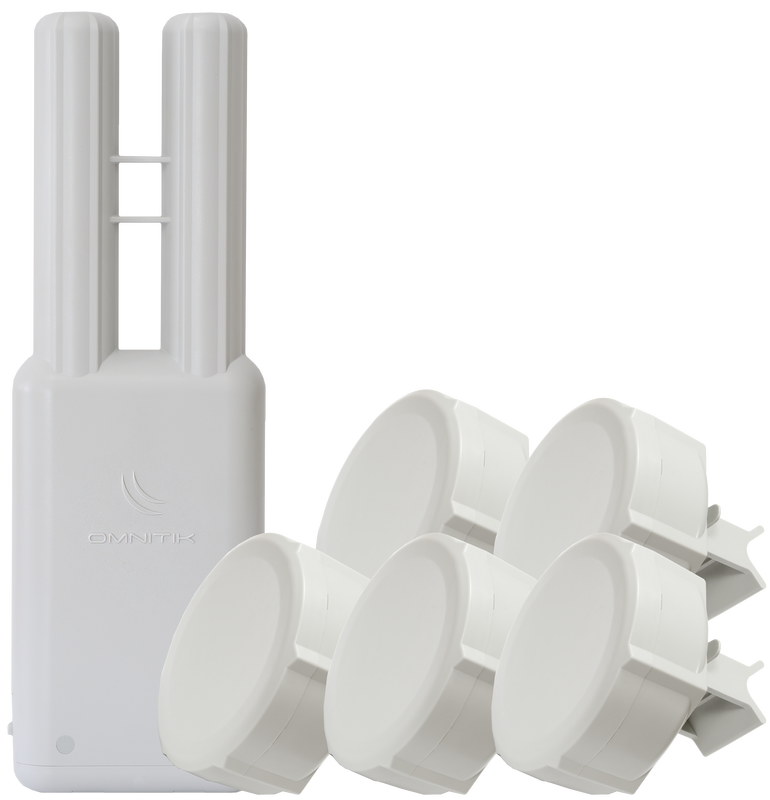 OmniTIKU-5HnD is a weatherproof outdoor AP with dual-polarized omni antennas - the perfect companion for the SXT, or for any other 5GHz 802.11a/n standard device. Weatherproof, durable and ready to use. It has five 10/100 Ethernet ports, PoE support and a built-in 400mW 802.11a/n wireless radio. Full RouterOS feature set to control all networking in your tower. We are now offering the OmniTIKU-5HnD bundled with FIVE SXT-5HPnD client devices -for the price of five SXT-5HPnD units, you get a complete kit.